Prevent mess with these easy-to-use shaker jars. 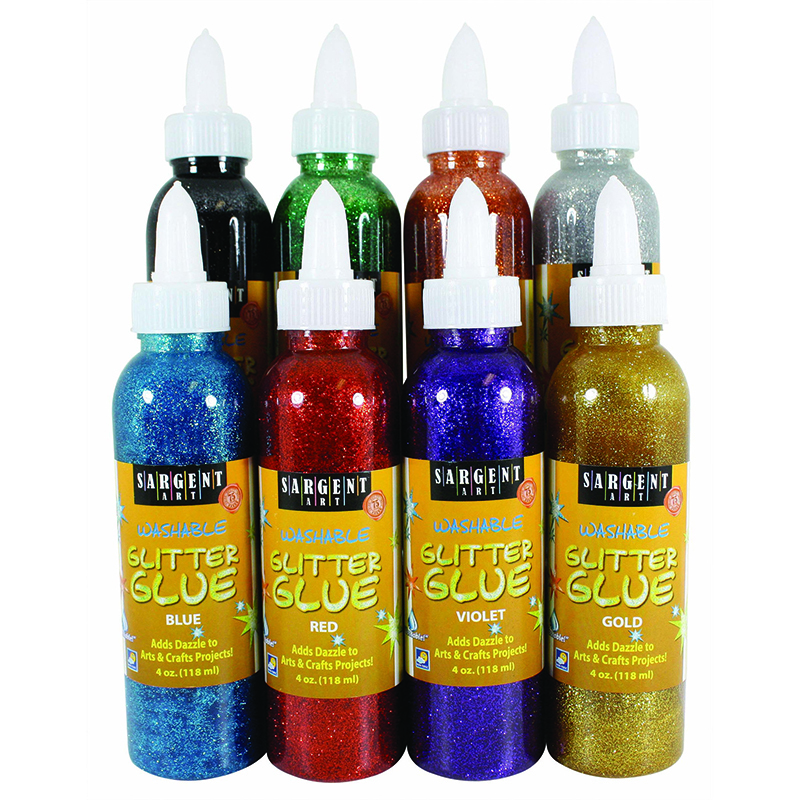 Twist the top to pour out glittering confetti. 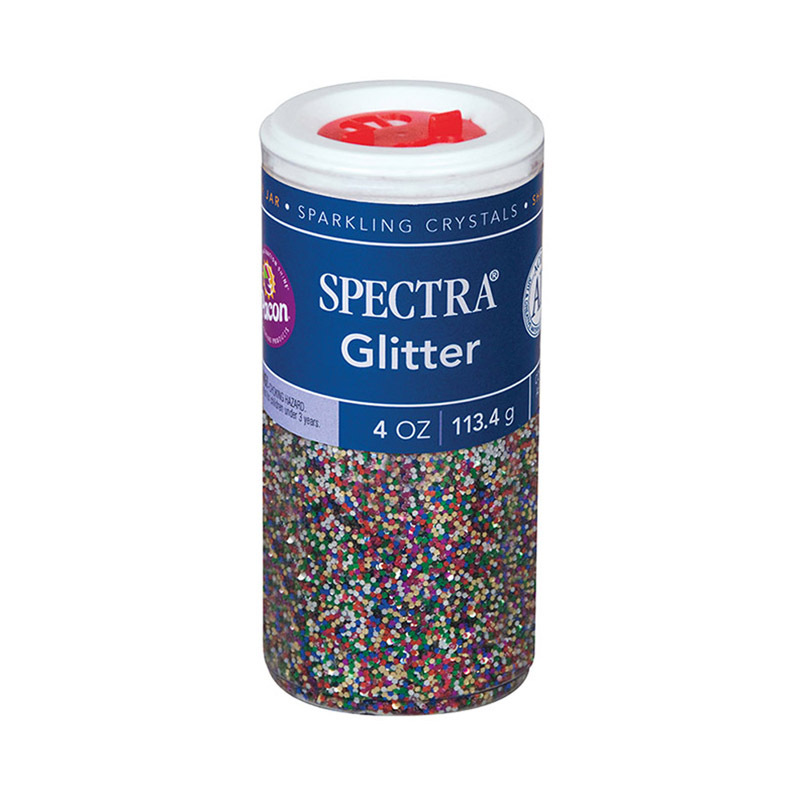 This jar holds 230 grams of uniquely shaped confetti in assorted sizes and colors. 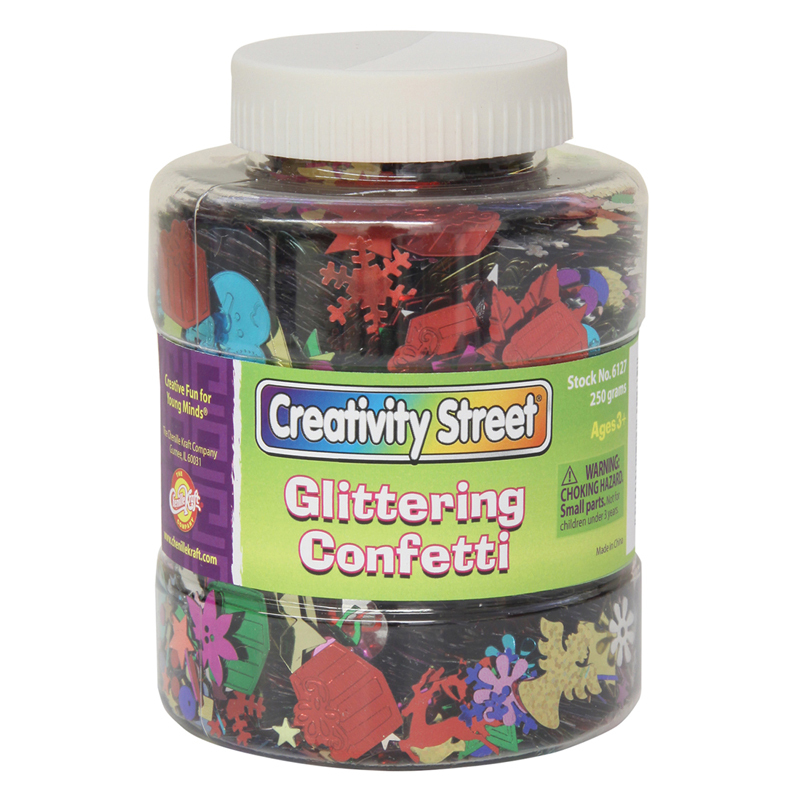 Use Creativity Street Glittering Confetti to enhance arts and crafts projects, add a fun surprise in greeting cards or even as table decor at parties. Easy-to-use and great for storing. 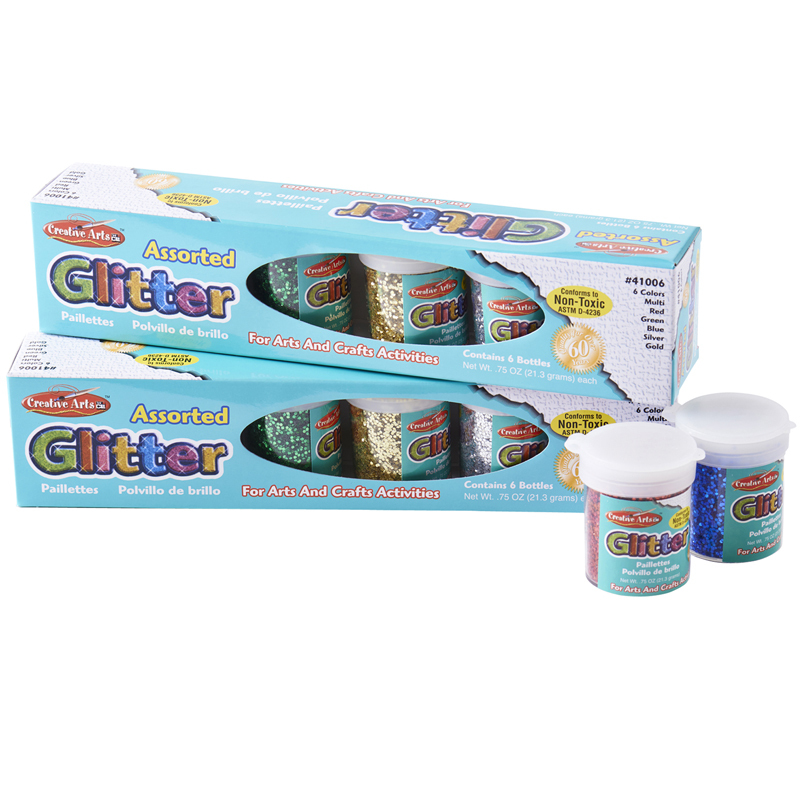 The Shaker Jar Glittering Confetti can be found in our Glitter product category within the Arts & Crafts. 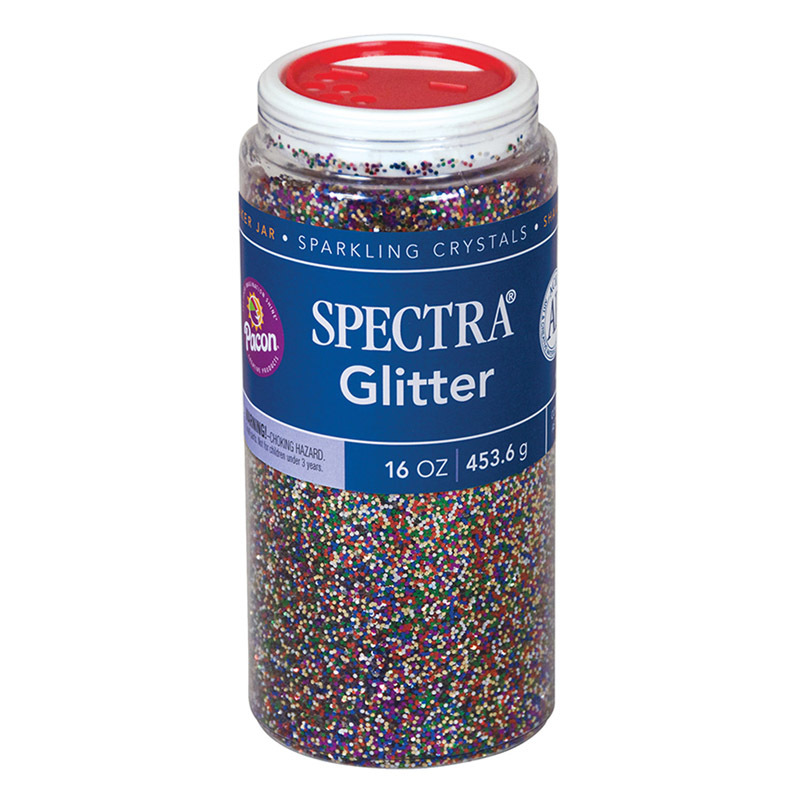 The hexagon shaped plastic glitter crystals (.040 size) are non-toxic and conform to ASTM D-4236. They're packaged in convenient plastic dispensing jars. 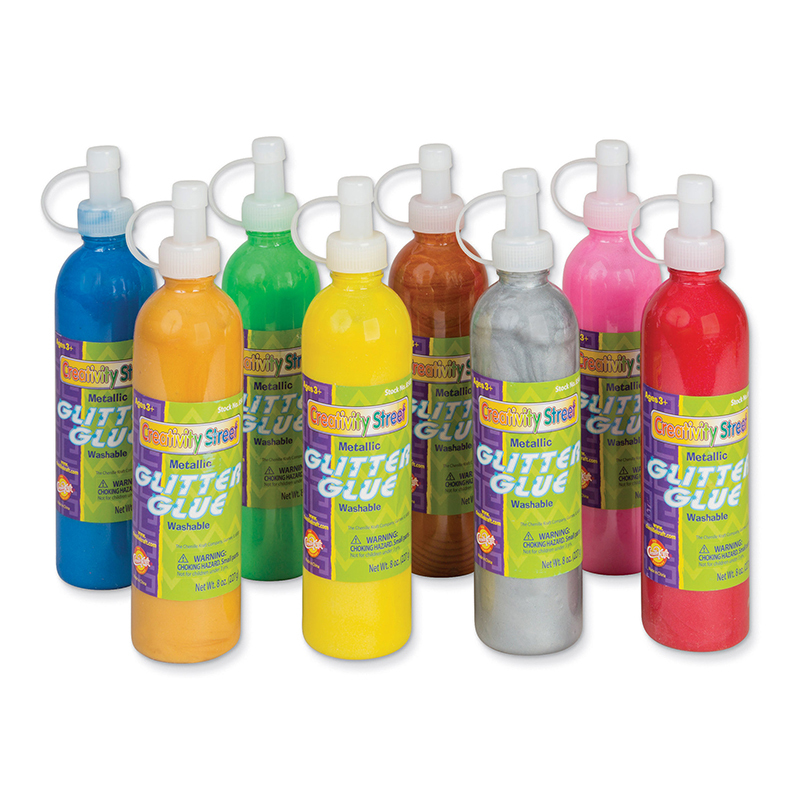 The jar tops contain a variety of slot openings making it easy to use without a lot of mess! Includes a 4 oz. jar.